Happy 2018! How was your New Year's? Did you go out? Did you have lots of fun? Did you get your cheeky New Year's kiss? I want to know everything. I took a small break from baking the last two weeks to fully enjoy the holidays. Do not get me wrong — I still made and decorated sugar with friends but when you bake for fun it is slightly different than baking for the blog. Having to make everything look extra perfect and having to document the step-by-step makes the baking experience just a tad different. I enjoy both though! I know a lot of you are on some #whole30 plan or some sort of cleanse, but sneaking a little slice of this galette is worth it. I promise. The first time I ever had a slice of galette des roi (when I first had it, I did not know that it was such a special festive galette) was three years ago. I was wandering the Sheung Wan area of Hong Kong in early January and stumbled upon a French lifestyle store. Right when I entered the store, the owner offered me a slice of galette des rois. I was slightly confused but also very intrigued by this glossy and buttery offer. He then started explaining to me how this specific galette is made in celebration of Epiphany which takes place on January 6th of every year. 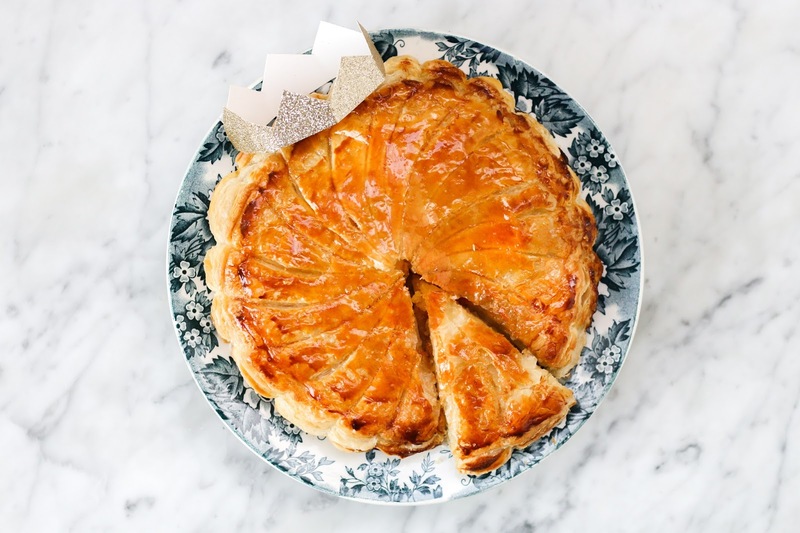 There are two kinds of Galette des Rois, or Kings Cake, in France — one is layers of puff pastry filled with almond cream, and the second is a yeasted cake decorated with sticky colourful fruit (gâteau des rois), with the latter being more popular in the south of France. 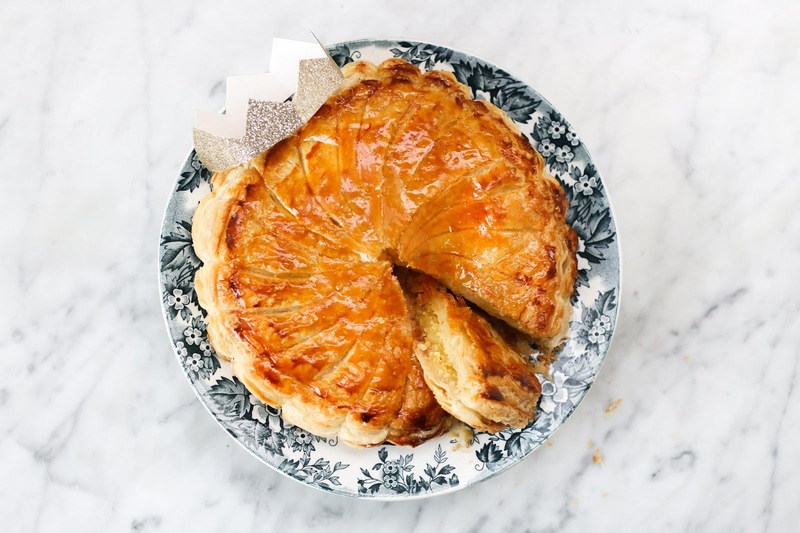 The extra fun thing about these galettes is that it is tradition to bake a fève (bean) into the galette and whoever gets the bean gets to be the roi (king) for the day and wear a paper crown that bakeries often give with the galettes. Alternatively, a porcelain toy of French historical or religious figures will take the place of the bean and be baked inside the galette. Adults often try to cut around the pieces to make sure the child at the table gets the trinket. 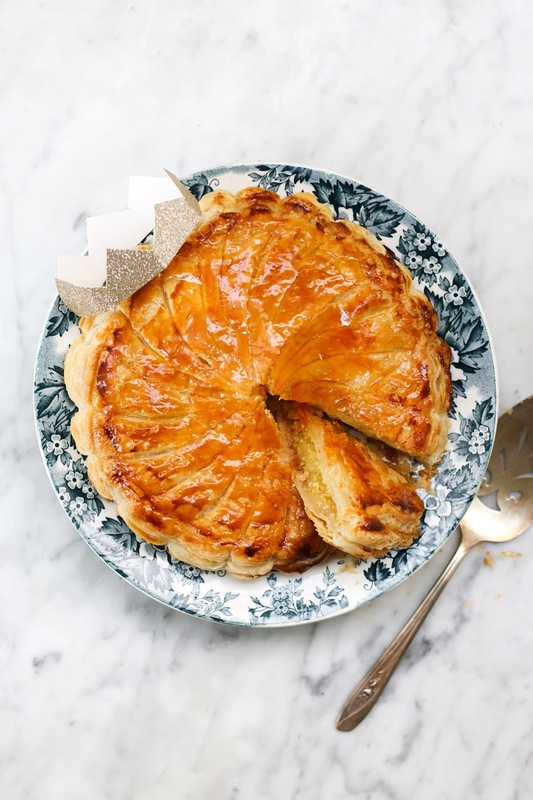 Even if you do not celebrate Epiphany, this galette is a great treat to make for a special occasion (or any occasion). 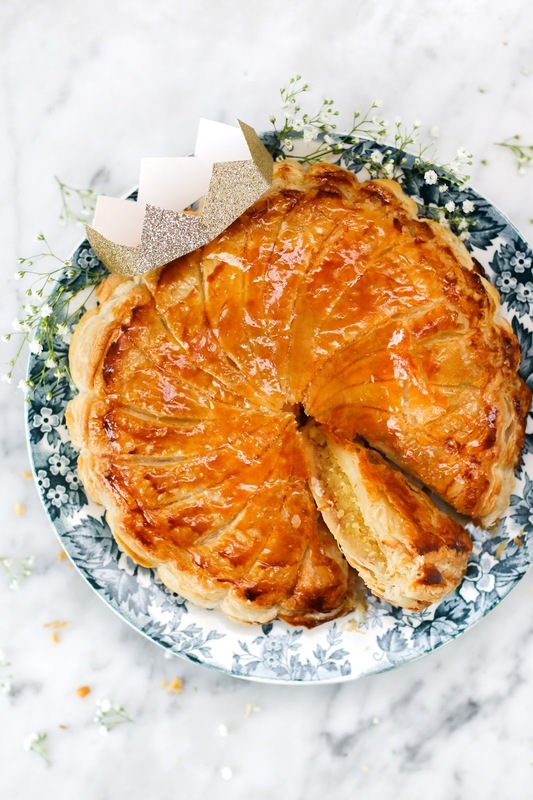 If you were to ask me what a galette des rois tastes like, my response would be something along the lines of: buttery puff pastry stuffed with the filling of a double baked almond croissant. Eloquent, I know. Though traditionally made it almonds, you can use different types of nuts for the crème. A pistachio crème would be so good too. Beat the butter on low until creamy. In a separate bowl, combine the sugar, almonds, corn starch, and salt. Make sure there are no large clumps of almond flour. Add the dry ingredients to the creamed butter and mix until smooth. Add orange flower water. Add the eggs (one at a time), mixing well between each addition. Fill a piping bag with a large round piping tip with the almond filling. In a small bowl, whisk together egg and milk. Set aside. In a small bowl, combine sugar and boiling water. Mix until sugar has melted. Divide the puff pastry in two equal pieces, and roll each one out to form a rough circle a little larger than 8 inches in diameter. Use a sharp knife and an upturned plate (or a cake ring) of the right dimension to cut two neat 8-inch circles. Place one of the circles on a piece of parchment paper. Using a pastry brush, brush the outer rim of the dough lightly with the egg wash by a width of about an inch. Make sure not to wet the actual edge of the dough, or it will prevent it from rising properly. 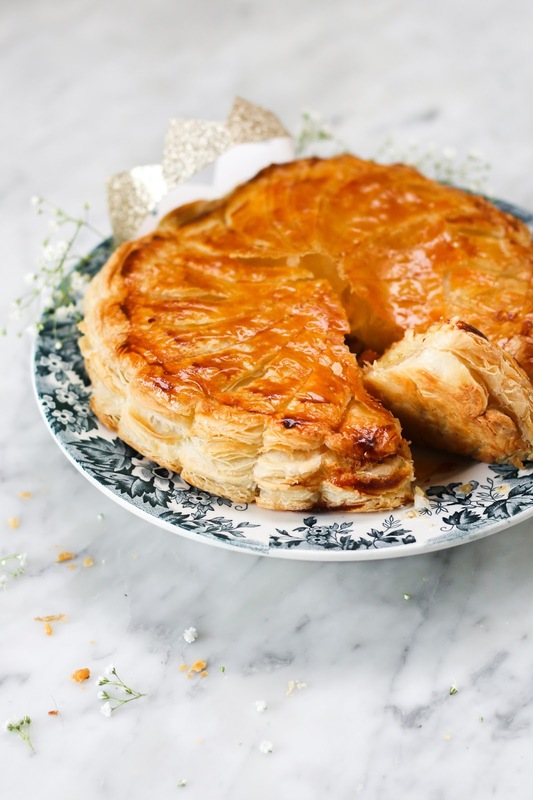 If you are adding a layer of jam to the galette, you want to do so before piping on the almond filling. Use a spatula to evenly distribute a layer of jam inside the egg wash ring. Pipe the crème d'amande onto the bottom piece of pastry inside the egg wash ring. Alternatively, you can use a spatula to evenly distribute the filling. Place a fève (a dried bean or trinket of your choice) in the crème d'amande. Press it down gently to bury it. Transfer the second piece of dough precisely on top of the first, smooth it out gently over the crème d'amande to remove any air pockets. Press it down all around the sides to seal. Using the back of the tip of your knife, draw a decorative pattern on top of the galette. Also using the back of the knife, push the dough inward where each score meets the edge to create a scalloped edge. Brush the top of the galette lightly with the egg wash, while making sure it doesn't drip over the edges. Transfer to a baking sheet and chill in refrigerator for an hour. Preheat the oven to 350°F. Take the galette out of the refrigerator and bake for 28 - 30 minutes, until puffy and golden brown. In the final minutes of baking, lightly brush a thin layer of sugar glaze with a pastry brush. Return galette to the oven for a minute until sugar glaze becomes shiny. 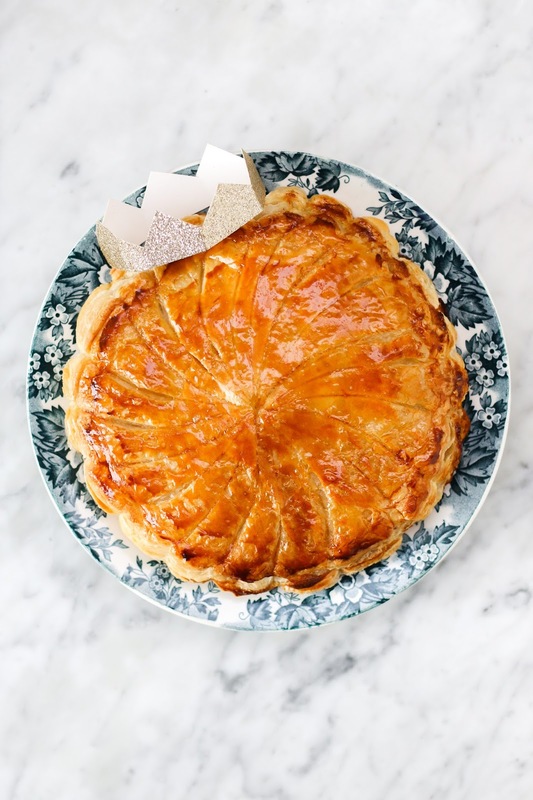 Place galette on serving rack to cool, pop on a paper crown, and serve at room temperature. Beautiful galette! 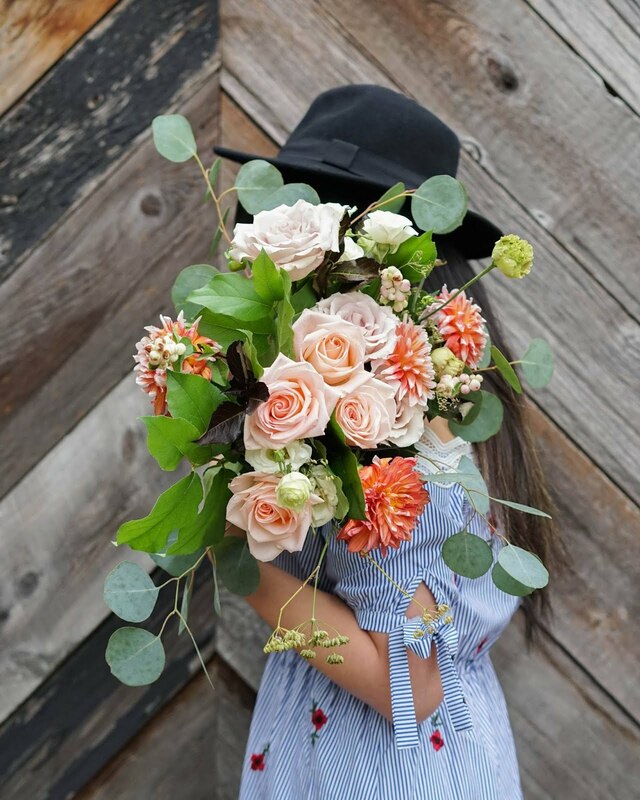 I love the idea of the touch of orange flower water and I actually have some homemade orange and orange flower jam in the cupboard which could heighten the exotic elements of this...if I have time to make it ;). I know about the French versions, but a friend has invited me to an Epiphany party tomorrow (exciting!) and she's serving us roscón de reyes - the Spanish Epiphany cake - which is new to me. Hers is apparently filled with guava paste. I think I'm going to have to try this recipe. The one I did last year turned out really weirdly, but yours looks beautiful!